Alpha’s soil assessment service is one of the core elements of our environmental consultancy. 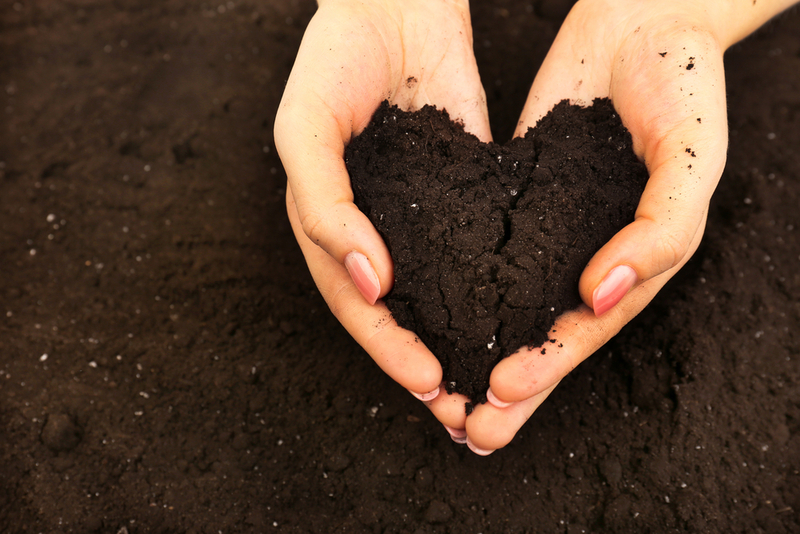 However, soil and the important role it plays in environmental and human health is often overlooked so this week we thought we highlight the importance of maintaining soil quality with these ten facts. Current farming practices harvest more nutrients from the soil than they can be replaced. This results in loss of fertility and ultimately soil erosion. The decline of the Roman, Greek and most famously the Easter Island civilisations were in part due to unsustainable farming practices resulting in soil erosion. More recent examples of communities or areas being devastated because of soil depletion include the American Dust Bowl, the Loess Plateau in China and the Sahel in Africa. Soil is alive with microbes and bugs which play an important role in cycling nutrients in a symbiotic relationship with plants. Although chemical fertilisers can replace three of four nutrients, it cannot emulate the complex nutritional role of microorganisms. Around 10-50 billion aerobic bacteria, 100 million different fungal cells, hundreds of arthropods and micro-arthropods, thousands of nematodes, algae and protozoa. Roughly one third of the world’s cropland has had to be abandoned as a result of soil degradation. So it will take millions of years to undo the soil damage we have caused as a result of poor farming practices and pollution. Soil stores about 0.01% of the world’s water and 10% of its carbon dioxide emissions (more than the atmosphere and vegetation combined) . Soil also plays an important role filtering out pollutants from groundwater. Soil therefore plays a crucial role in water conservation and good soil can help prevent droughts. Certain types of symbiotic fungi can be cultivated to store up to 70% more carbon in the soil and could be used by scientists and farmers to sequester the bulk of the world’s greenhouse gases and stop global warming. Nearly all the antibiotics used in human medicine were synthesised from soil microorganisms. That means that when the soil is compromised or polluted, the pollution is passed up through the food chain, accumulating more at each level.